Binary trans folks can be just as exclusive and dismissive towards genderqueer people. These folks are on the spectrum and a part of our community. Support them where they are at! Sometimes, tran folks like to think there is some kind of trans card you need to be a part of the club. 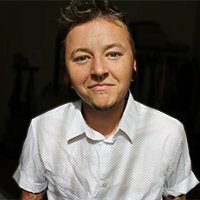 If someone comes out as trans and you, personally, don't think they are trans- you need to check yourself. Trans people come in all forms! We are all on our own gender journey. Some folks choose to not use hormones. Some don't ever want surgery. Some want to express themselves in a more androgynous manner. It's all about what makes that personal comfortable. Remember, their expression does not reflect on you or your identity. So often, trans folks will get mad at one another and hold each other to high standards. We are all apart of an opressed community and all face our own pain, struggles, and changes. Let's try to be kinder and softer with one another and remember we are all doing our best. Depending on socio-economic status, race, gender expression, identity, history, and location some trans folks are more privileged than others. We need to adovocate for one another, no matter what. We are a united front, let's act like it! Keep tabs on organizations, bathrooms, hair salons, barbers, and workplaces that are trans friendly. Post and share this information with folks that need it! I mentored a 15-year-old trans guy for awhile. I took him to meetings and sometimes we'd hang out at the mall. It was great for him to see a trans man that was living life to the fullest! If at all possible be understanding and uplifting to trans kids in any form. The world is cis-centric. It's nice to carve out room for trans only time. These groups can be for fun and/or support. If you live in an area that doesn't have very many trans folks in it, try to find online groups to be apart of. It's a beautiful thing when people can help each other be less alone.